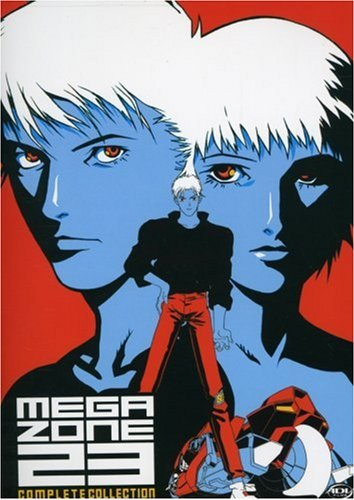 Home › Anime › What Happens When CTBF Takes On The Megazone 23Complete Collection? What Happens When CTBF Takes On The Megazone 23Complete Collection? Anime as a medium goes through the same (or similar, from my viewpoint) creative processes of any other visual entertainment work. At a certain stage in a production, financial backing from producers has to come into play. In 1985, when the rising Japanese home video market thought to conceive of Anime in the OVA format (readers of this site know that this constitutes much of our Anime reviews), the highly successful Megazone 23 was released making way for two sequels, Megazone 23 Part 2 and Megazone 23 Part 3. If you look at these three titles, it is hard to tell that they all came from the same series, with the ever-changing directors, character designs and methods. Keeping this in mind, I thought it fit for us, the writers here at CTBF, to review each unique part of Megazone 23 separately. Each consecutive part will be posted on its own schedule, different from our usual articles. So let the excitement of youth burst forth and ride off into the great beyond!